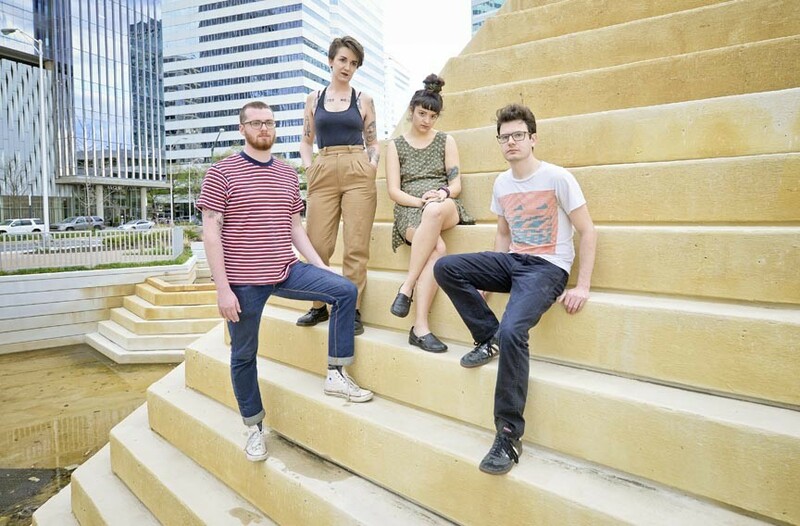 The Talkies: Indie Rock | Music | Style Weekly - Richmond, VA local news, arts, and events. You don’t forget when someone tells you that the best bands in Richmond can’t be discussed without mentioning a particular one. Such is the case with the Talkies, as exalted by Sound Gaze producer and host Doug Nunnally earlier this year. With a shoe-gaze vibe that combines throwback new wave elements and a little something you can’t put your finger on but enjoy all the same, the Talkies are everything that’s right about next-generation indie rock. Lead singer and lyricist Marissa Porcelli, guitarist Jake Shinn and bassist Taylor Dunivan met at a Stafford high school and have been friends ever since, following each other to Richmond. Drummer Austin Rühf recently joined the lineup. Most of them still live in the same building, which bodes well for recording sessions, all of which are done in house. The foursome has cranked out three EPs, most recently “Eyesie Spysies,” and played many house shows. Not too shabby for an outfit that formed about two years ago. It plans to put out another EP before Porcelli heads off to Japan, where her husband is stationed. Worry not, the group still plans to make music. 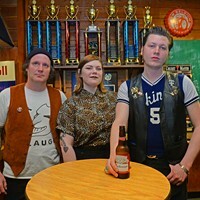 When we caught up with three-fourths of the band, its members were eager to chat about equality in the Richmond scene. “The ratio feels a little more balanced than some cities,” Dunivan says. Recently, an Austin Chronicle piece noted that the male-to-female musician percentage in the Texas capital was 80 to 20 — not surprising, but disappointing all the same. A recent Virginia Beach show was another story. “They didn’t believe that we were in the band and tried to get us to pay. It was obnoxious,” Dunivan says. “You play bass, that’s cute,” she adds. “Oh, and then there’s the, ‘You must be the girlfriends of the band,’” Porcelli adds. The bandmates agree that their positive experiences can be credited to safe spaces. 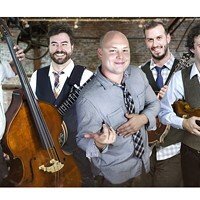 The Talkies perform with Fulton Lee and Ben Hatton at the Camel on April 30.